Characteristics 1. 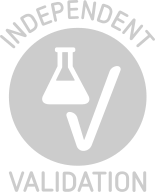 Since applications vary, each investigator should titrate the reagent to obtain optimal results. 2. Please refer to us for technical protocols. 3. Caution: Sodium azide yields highly toxic hydrazoic acid under acidic conditions. Dilute azide compounds in running water before discarding to avoid accumulation of potentially explosive deposits in plumbing. Purification The monoclonal antibody was purified from tissue culture supernatant or ascites by affinity chromatography. Background B lymphoid cells go through many intermediate steps before becoming plasma cells which produce and secrete immunoglobulins (Ig). The earliest stage of B-cell differentiation is represented by pro-B lymphocytes that contain both the Ig heavy- and light-chain genes in the transcriptionally inactive germ line configuration. As pro-B lymphocytes differentiate into pre-B cells, Ig heavy-chain genes rearrange and are transcribed and translated. However, the Ig light-chain genes are not transcribed before the pre-B cells differentiate into mature Blymphocytes. The developmental regulation of the Ig gene expression is dependent on various sequences in the Ig enhancer region. One class of such regulatory sequence elements comprises the E-boxes which share the NNCANNTGNN consensus sequence. The E2 boxes are particularly interesting because they are present in muscle and pancreas-specific enhancers. A family of proteins binds to the E2 box. These proteins share a common amino acid sequence motif that is proposed to form two amphipathic helices interrupted by a loop, designated the helix-loop-helix (HLH) motif. The HLH motif mediates homo- as well as heterodimerization with other HLH proteins. Most HLH proteins possess a basic region located at the N terminal of the HLH region which is responsible for DNA binding. Two E2 box binding proteins have been described (E12 and E47) that arise as alternatively spliced form of the E2A gene. E12 and E47 are identical except in the HLH region. These two proteins have been directly implicated in the regulation of B-cell, muscle and pancreas-specific gene expression. Futhermore, studies have shown that relative levels of E47 are important for regulating the lineage of T cells in the thymus. For example, mice deficient in E47 demonstrate a change in the ratio of CD4/CD8 cells as well as a greater percentage of cells that stain for the mature CD4 marker, implicating E47 in selection of T cells. Clone G127-32 recognizes human E47. It cross-reacts with mouse E47. G127-32 does not recognize E12, the alternately spliced product of the E2A gene or E2-2, a closely reltated protein. Recombinant E47 was used as immunogen. Application Notes Applications include immunoprecipitation, western blot analysis (1-2 µg/ml) and electropheretic mobility shift assays (EMSA). Please refer to reference Bain G, et al, 1993 for suggested methods. Buffer Aqueous buffered solution containing ≤0.09 % sodium azide. Storage Comment Store undiluted at 4°C. Product cited in: Bain, Robanus Maandag, te Riele, Feeney, Sheehy, Schlissel, Shinton, Hardy, Murre: "Both E12 and E47 allow commitment to the B cell lineage." in: Immunity, Vol. 6, Issue 2, pp. 145-54, 1997 (PubMed). Bain, Gruenwald, Murre: "E2A and E2-2 are subunits of B-cell-specific E2-box DNA-binding proteins." in: Molecular and cellular biology, Vol. 13, Issue 6, pp. 3522-9, 1993 (PubMed). Murre, McCaw, Baltimore: "A new DNA binding and dimerization motif in immunoglobulin enhancer binding, daughterless, MyoD, and myc proteins." in: Cell, Vol. 56, Issue 5, pp. 777-83, 1989 (PubMed). Lenardo, Pierce, Baltimore: "Protein-binding sites in Ig gene enhancers determine transcriptional activity and inducibility." in: Science (New York, N.Y.), Vol. 236, Issue 4808, pp. 1573-7, 1987 (PubMed). Background publications Sun, Baltimore: "An inhibitory domain of E12 transcription factor prevents DNA binding in E12 homodimers but not in E12 heterodimers." in: Cell, Vol. 64, Issue 2, pp. 459-70, 1991 (PubMed). Whelan, Cordle, Henderson, Weil, Stein et al. : "Identification of a pancreatic beta-cell insulin gene transcription factor that binds to and appears to activate cell-type-specific expression: its possible relationship to other cellular factors ..." in: Molecular and cellular biology, Vol. 10, Issue 4, pp. 1564-72, 1990 (PubMed). Buskin, Hauschka: "Identification of a myocyte nuclear factor that binds to the muscle-specific enhancer of the mouse muscle creatine kinase gene." in: Molecular and cellular biology, Vol. 9, Issue 6, pp. 2627-40, 1989 (PubMed).